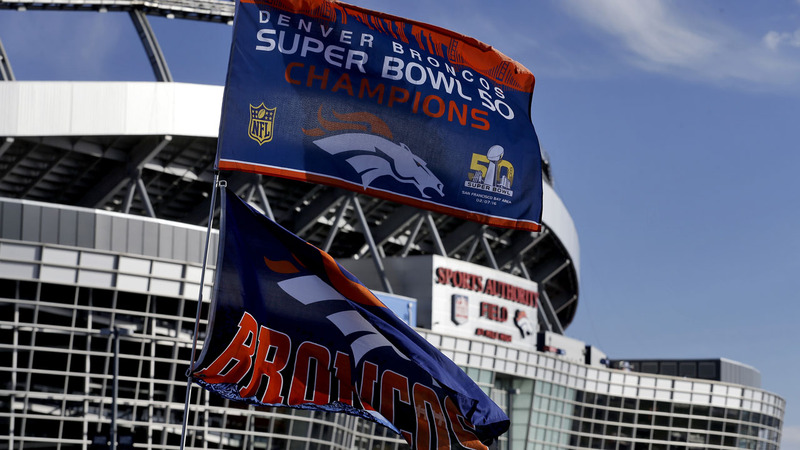 DENVER, CO -- Authorities say a fan has died after falling 30 to 50 feet at the Denver Broncos' stadium after Monday night's game. The Denver medical examiner's office said Tuesday the man was transported to the hospital and pronounced dead after the stadium fall. Investigators haven't released his identity. A Denver police spokesman did not immediately provide details about the investigation. The incident occurred near the north end of Sports Authority Filed at Mile High following the Broncos' 27-9 win over the Houston Texans. Stadium Management Co., which operates the stadium, said the fan fell over a stairwell railing. The company was trying to learn more about what happened.